Built for EP. Synthetic Media Options. A variety of media solutions are available to help print providers expand product offerings. In electrophotographic (EP) and liquid electrophotographic (LEP) processes, synthetic media is an option. These substrates provide high levels of durability, often without the need for lamination. Traditionally, media composed of plastics and other inorganic materials were not well suited for EP printing due to high fusing temperatures and melting risks. While a fairly mature technology, vendors in the space continue to offer advanced toners and hardware to reduce the amount of heat required in the fusing process. Meanwhile, new media formulations are designed to withstand higher temperatures. These synthetic substrates enable print providers to offer digitally printed output with qualities like tear-, stain-, and water-resistance. Above: PPG TESLIN is a high-performance synthetic paper that stands up to water, chemicals, and scuffing. Synthetic media solutions compatible with EP/LEP production presses differ by top coating, base film, and construction. Vinyl, polypropylene, and polyester are among the most common synthetic substrates. Each product offers advantages in terms of flexibility, durability, and finishing. Polypropylene is a commonly requested synthetic media option for EP printing. These films don’t release the melting plastic odor commonly associated with vinyl. “Polypropylene films have come a long way in durability, which mirrors the expectations of most of the dry toners,” shares Brian Ayers, market development specialist, FLEXcon. Polyester is another popular synthetic selection due to its performance characteristics and press compatibility. “Heat stability gives polyester great on-press performance and distortion resistance while making it the most durable of all polys for in-field use,” comments Craig Surette, business development director, dry toner market, GPA. It provides resistance to tearing, stains, and weathering. Compatible with a variety of surfaces, repositionable vinyl is a peel-and-stick substrate that does not rip, peel, or wrinkle and can be used indoors or outdoors. Rigid vinyl PVC is also designed for EP/LEP production equipment, which Campbell says offers excellent durability, UV resistance, rigidity, and low flammability. While a variety of synthetic media options are available for digital printing, there are limitations. “It is broadly accepted that you can’t run just any synthetic through any digital press. You must use a media compatible with your print engine,” explains Fabrizio Mandingorra, PPG labels and print segment manager, Teslin Substrate Products. One key factor is the media’s heat stability. Certain substrates like polyester run as high as 350 degrees Fahrenheit, while others like polypropylene and high-density polyethylene can soften at 220 degrees Fahrenheit. “You don’t want to chance damaging your machine and possibly voiding the equipment warranty,” cautions Mandingorra. Media options for EP/LEP printing are limited due to high fusing temperatures, static buildup, and few available sizes. To widen the compatibility of synthetic media, vendors have advanced media formulations, top coatings, and print engines. In EP printing, the fusing process requires heat and pressure to bond the toner particles to the media. While thermally stable base films and top coatings enable a broader synthetic offering, advancements are also essential to expanding media compatibility. 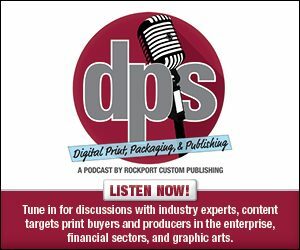 “The prevalence of digital synthetics in the market enables OEMs to think about synthetics when developing new digital presses to bring to market,” says Joe Schember, production manager, digital specialty & paper, Mohawk Paper. To improve the fusing process, OEM printer manufacturers significantly reduce the amount of heat required to fuse the dry toner to the synthetic media’s surface. “This has allowed for the expansion of more polyolefins to be used with dry toner technology, such as polypropylenes, which traditionally would have melted to the fuser rollers,” offers Ayers. According to Surette, fusing temperatures for all EP engines are well above 300 degrees Fahrenheit and some continue to fuse at close to 400 degrees Fahrenheit. Even at lower temperatures, the risk of distortion or melting exists if the wrong synthetic substrate is chosen. “Putting diesel in a jet engine doesn’t work, the same way that putting an offset synthetic in a dry toner press will fail. The chemistry is wrong,” he offers. Overall, synthetic media progression allows for greater basis weight and caliper, larger sized sheets, and duplex capability with higher weight sheets, says Scott Harman, director of digital products, Appvion, Inc.
Media formulation advancements allow for more applications to be printed with synthetic media on EP/LEP devices. This includes previously laminated applications and those requiring a substrate that is durable, waterproof, tear resistant, and UV stable, says Al Grant, director of sales, marketing, and distribution, Fusion Digital Paper. In the case of outdoor books and manuals, he believes Fusion’s Soft Polyester media offers all of these attributes including stain-resistance and static-free runability on digital copiers’ feeding/receiving ends and during print finishing operations such as jogging, stacking, cutting, punching, and perforating. Menus benefit from digital synthetic media. According to Surette, they are often requested in short runs with multiple copy changes, which aligns with the flexibility of digital print and the efficiency and durability of synthetic print media. Pressure-sensitive synthetics are also suited for labels, bumper stickers, name tags, and calendars. They are commonly used for outdoor applications and offer removable or permanent adhesion. “From counter tops to cooler windows, and restaurant tabletops to floors, pressure-sensitive synthetics deliver vibrant graphics, durability, and adhesive options for a range of needs,” adds Surette. In retail, grocery, and hospitality industries, there is a movement towards signage in any and every location. “In-store graphics are up more than 50 percent from ten years ago, reinforcing that retailers understand that any flat surface is now a consumer communication point, and they’re using it to their advantage,” offers Surette. Other applications ideal for synthetic media and EP printing include award ribbons, badges, freezer signage, magnets, manuals, maps, outdoor signage, point of purchase (POP), posters, stickers, wall signage, and window clings. Synthetic media options are selected for their longevity and the ability to withstand harsh environments. The level of durability ranges among synthetic substrates but typically stands up to moisture, wear, and even chemical exposure, says Mandingorra. Improved durability shortens production time and offers clients a higher value, more profitable product. Added durability also allows the product to withstand a longer period of time. Due to the longer lifecycle of synthetic-based solutions versus paper-based products, Campbell says reprints are less frequently required. “Plastic substrates are less expensive than laminating paper and often result in faster turnaround times since the printer does not need to outsource lamination,” she shares. The combination of available synthetic media options and the benefits of digital print open new opportunities for value-added applications. For example, Grant says Fusion offers Fusion Digital Satin Fabric, a polyester waterproof and tear resistant fabric that is top coated for digital printing. One of the main applications for this product is private label sewable mattress labels. This application is traditionally offset printed, which Grant says has long lead times and requires large volumes to be cost effective. With Fusion’s EP-compatible synthetic fabric, customers can print as many labels as they need, when they need them. “Once printed, the labels can be sewn into the mattress for a beautiful, durable sewn in label,” he adds. “Reduction in overall volumes of printed materials and increased personalization and/or lower print jobs means the printer offers a full and professional solution to its customers with a more creative targeted message. These materials allow them to enter markets they previously could not,” says Simon Warren, head of sales marketing, Print On Group/Folex. While synthetic media offers high durability and shorter run lengths and times, there are disadvantages including higher upfront costs, a misunderstanding of synthetic types, and equipment challenges. Synthetic media is typically more expensive than traditional wood-pulp based paper. However, from an overall expense point of view, synthetic media saves time and money by eliminating the need for varnishing and laminating. One disadvantage in a comparison against traditional paper would be cost. “But clients should be offered the right material type for the job, and cost savings can already be shown in production steps,” says Warren. Mandingorra says one complaint is that some synthetic media builds up excessive static charge during EP printing, which decreases throughput, degrades print quality, and causes damage to equipment or harms operators. However, select synthetic media is designed to dissipate static, eliminating throughput and print quality issues, allowing printers to avoid jams and ghosting from print artifacts. Many users also shy away from the use of synthetic materials because they don’t consider each option’s different characteristics, advantages, and disadvantages. “It’s more than just picking up a synthetic and running it. Some films crack easily if folded, but will handle outdoor weather well. Others may be extremely flexible and easy to use, but can’t handle the chemicals required by the end user,” explains Lawellin. Often, customers that have had bad experiences with synthetics usually didn’t receive help, or misunderstood which synthetic best fits their application. Challenges with EP-compatible synthetic media also derive from digital printing equipment. To avoid complications, Grant suggests print providers question if their equipment can handle the adjustments necessary to print a synthetic substrate, especially the heavier gsm sheets. It’s also important that the device achieves proper toner adhesion and print fidelity. Increasing demands for digital synthetic media results in a variety of new materials for durable, on demand applications. With a range of synthetic materials now available, Mandingorra believes printers and label converters are inspired to offer more functional solutions. One application driving the synthetic market is the adoption of the Global Harmonization System (GHS). The GHS standardizes and harmonizes the classification and labeling of chemicals. Compliancy requires specific information be printed in color, which Mandingorra believes has dramatically increased the need for durable labels certified to BS5609 with on demand color digital printers. There is also a need for a broader range of sizes and colors of synthetic substrates. For example, Schember says thicker materials between 14 and 80 mils are becoming popular, as well as synthetic materials with different colors and finishes. More OEM technology now offers specialty toners such as white, metallic, and fluorescent in addition to CMYK, color products, and digital embellishments for dramatic effects. Before selecting a synthetic media for EP/LEP printing, print providers should consider their equipment and media selection to ensure overall compatibility. This includes selecting a proper media supplier and communicating effectively with clients. Print providers should confirm that the selected synthetic is specifically supported by their EP device. “It’s not uncommon to see someone choose a material not specifically designed for the type of EP/LEP device they are using and as a result, they see ink/toner failures on the press,” shares Lawellin. Consider the application. While a polypropylene makes a great booklet due to its softer feel, it may lack the rigidity to work as well in an application where a POP sign needs to stand upright on its own. Other applications may require synthetics to uphold certain chemicals, handle a large number of creases, or be thermoformed into shape, offers Lawellin. Achieving the best performance from synthetic materials also depends on the media supplier. According to Campbell, print providers should select a supplier that uses thorough testing, pristine clean materials, corona treating, and professional drying to develop dependable digital media. Corona treatment alters the surface energy of printed pieces to improve adhesion. “Corona treating can be effective on many materials in achieving better adhesion of the digital coating to the material,” says Campbell.